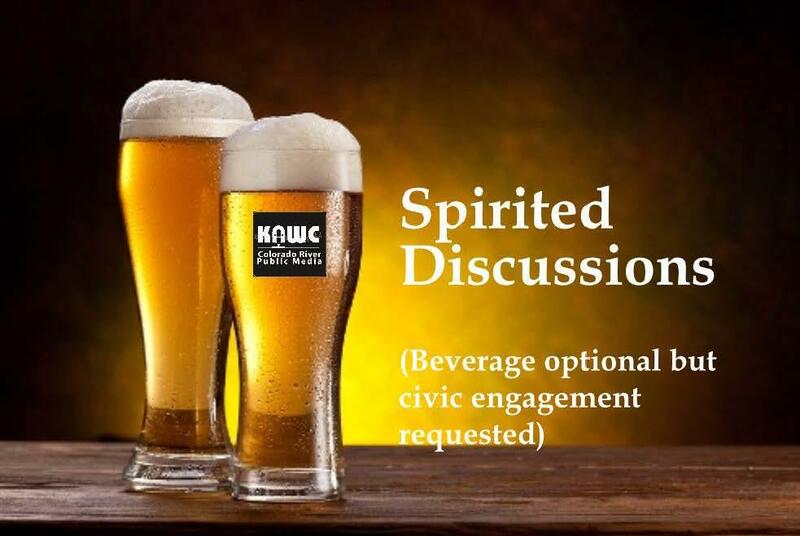 KAWC is pleased to host Spirited Discussions, a civic engagement event moderated by KAWC News Director Lou Gum, offering the public the chance to have a conversation about topics of interest to our community. Designed to bring policy makers and experts together with the public in an informal setting, the events will last approximately two hours. The first half hour will be a social meet & greet, followed by a fifty minute to one hour featured guest presentation and a moderated question and answer period. The evening will conclude with a half hour social wrap up and a casual good night. For more information, or to suggest a topic, call us at (928) 344-7690 or email news@kawc.org. To offer to host a Spirited Discussion event, please email support@kawc.org. The inaugural KAWC Spirited Discussions forum will feature newly elected Mayor of Yuma, Douglas J. Nicholls, at 5 pm on Thursday, February 13, at River City Grill, 600 W 3rd Street. Mayor Nicholls will be discussing his priorities for the city and his early observations since taking office. River City Grill, the host venue for the first Spirited Discussions forum, will have a cash bar available, as well as appetizers, in keeping with the relaxed nature of the event.